"Guess what?" Allan at Books of Wonder said as he excitedly grabbed my hand yesterday. "What?" What could he be so excited about? 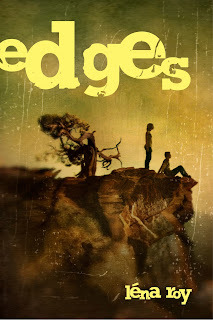 "I just crunched the numbers this morning, and Edges was our #2 seller this week!" It took a while for that to sink in while I signed some more stock for the store. Not too shabby for a debut novel, and certainly not what I expected. 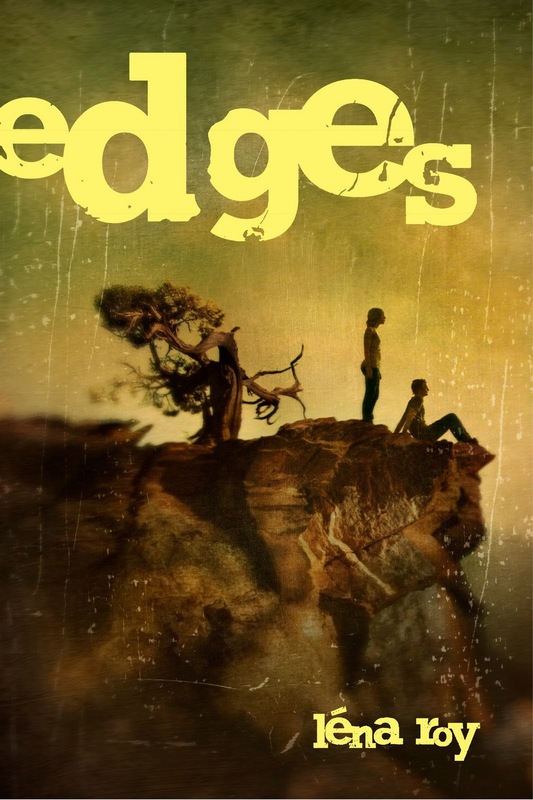 I'm thinking of Edges as the little-book-that-could: chugga chugga, chugga chugga. How wonderful to have an independent bookstore champion it! Benjamin and I had a lovely visit, and braved the cold to go down to the Libertine Library on Gold Street downtown. It was an intimate evening in a beautiful space, where I got to share the stage with another writer/parent/friend John Reed. And since there were no kids in the audience, I got to read a different section of the novel. Something more - dare I say it? Edgy. So I'm feeling good because I feel like there's some real energy behind Edges - besides me just trying desperately to flap my wings. And today I'm being taken out for a celebratory lunch by Judy Blundell and Katie Davis - no, not too shabby at all! Hi Léna, it's Brian again. I'd love to read your novel! I've added it to my reading list and I will be getting to it very soon. My mother is a historian and an author. Her Master's thesis was published into a book when she graduated. It's called "Silent Heroes: Downed Airmen and the French Underground" by Sherri Ottis. It's about Allied airmen that were shot down over enemy territory during World War II and how French citizens helped sneak them out of occupied France and back to Allied territory. Anyway, I have a very high respect for authors and the tribulations they go through as they're writing so I have a sense of how proud of your grandmother you are and how proud your family is of you! Thanks for writing again Brian! Great to hear about your mom! And yes Shira! Get thee to an independent bookstore or an online facility! Miss you at Writopia! How wonderful to have that kind of connection with a bookstore like that, where you feel known. A friend was just relating to me last night the story of how Books of Wonder got to be on an MLE book tour, as related to her by a speaker at a convention she attended. Anyways, something about the owner riding the train with MLE and her later insisting there was room for Books of Wonder on the tour. I'm sure I'm missing parts but it was a good story and I do love independent bookstores. Sadly, there's not many close by but probably better for my wallet! Oh and I love the pics of the Cathedral. Our instruction framework is terrible in this way we can confront numerous issues. Numerous specialists and creators for the most part give proposal about this issue yet our administration does not make a move. I ask for to our legislature write my essay in 3 hours enhance training framework since it is exceptionally fundamental for every one of the general population. In this manner a substantial quantities of understudies runaway from instruction that is bad. I'm a philologist, so that's really important. But I'm not so good, honestly. So I just go to that site to have a good mark and good example. As I would see it, if all website admins and bloggers made great substance as you did, the web will be significantly more valuable than any time in recent memory. this is something to make you feel relaxed and feel great to proceed your feelings.